2. The fact that catch-up viewing is only available on-demand, as on the Web, and not for offline viewing. As people have pointed out you can use the web interface to watch so using up valuable memory on a phone for an app that does the same thing essentially is not very useful! By contrast, the ability to download two or three programmes for viewing on the train or plane would be a huge feature. Downloaded video is also more robust even when you are online, thanks to the variability of typical wifi or 3G connections. Storage is an issue, but not such a bad one now that cards with 16GB or more are commonplace. My HTC Desire currently has 14GB free on the storage card – plenty for a few videos in quality suitable for a tiny screen. Apple’s devices do not support add-on storage cards, but even the cheapest iPhone 4 has 16GB of storage, as does the iPad. Failing that, I would rather see the BBC invest in optimising its web site for mobile, rather than creating apps that add little value. See my earlier post, Why I don’t want to view bbc.co.uk through an app. Too much to ask? The BBC’s Nick Reynolds promises a follow-up post next week, so perhaps we will discover then. This is remarkable. The original Moblin project, sponsored by Intel, was all about bringing an excellent user experience to Linux on netbooks. The first netbooks ran Linux, but met resistance from a general public familiar with Windows; yet Linux is more suitable for netbooks than Windows in its present form. Moblin is different. It’s a friendly way to get the most out of your netbook. It doesn’t work like most other computers because it’s optimized for enjoying media, interacting with your social networks and the internet. 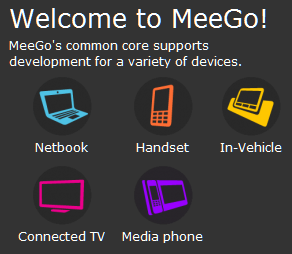 wrote Moblin Community Manager Paul Cooper back in 2009, when netbooks were hot. The problem: tech trends sometimes outpace corporate planning. Moblin was a good idea in 2008, but nothing was delivered; and by the time it looked like it might be ready, the market seemed to want tablets – or Apple iPads – rather than netbooks; and whatever problem Moblin was addressing was already solved by Google Android. The power and capability of handhelds has reached astounding levels – netbooks have been a runaway success – and connected TVs, tablets, in-vehicle infotainment, and media phones are fast growing new markets for devices with unheard of performance. Our goal is to develop the best software to go with these devices. 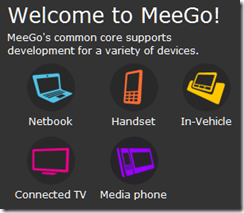 Perhaps Nokia will progress MeeGo smartphones with renewed vigour; but what looks more likely is that Nokia will embrace a rival platform, maybe Google Android or Microsoft’s Windows Phone 7. That might well be alongside MeeGo, rather than replacing it, but Nokia needs to focus its energy and I would guess that MeeGo will lose out. It may be the beginning of the end for a promising project that has progressed too slowly. Seemingly tricky problems sometimes have simple solutions – but you have to find them first. The suggested fix for this is to boot into Directory Services Restore Mode. In my case this was not possible, because after the first failure the VM booted into Windows Error Recovery mode which does not offer Directory Services Restore Mode. Rather than try to get round this, I simply restored the server again, and took a snapshot before the first boot so I would not have to do so again. I could now get into Directory Services Restore Mode, though note that you need to log on as .\administrator using the password set when SBS 2008 was installed. I tried some of the steps here with little success. The suggested ntdsutil commands did not work. I had to activate an instance, which by the way is ntds, and then got a message saying the operation failed because the system was in Directory Services Restore Mode and to try rebooting. I knew what the result would be. In other words, I was getting nowhere. Then I found a user with a similar problem. The reason: Active Directory will not restore if it is older than the “tombstone lifetime”. This is nicely explained here. It is to do replication. Active Directory is designed to replicate between domain controllers, which means it has to keep a record of deleted items. If a particular instance is older than the tombstone lifetime, it could not replicate safely, hence the error message. Well, kind-of. Note that the error message says, “A device attached to the system is not functioning”. If only it could have said, “Active Directory is too old”, that would have saved some time. Note also that SBS is often the sole domain controller, making the problem irrelevant. Note further that in my case I did not care a jot about replication, since all I needed was some emails. Still, it gave me an easy solution. Just set the date back in Hyper-V and reboot. Everything worked fine. In the end it did not cost me too much time, and doing this stuff in Hyper-V while getting on with your work during the slow bits is a lot more fun than when using real systems. I do find it interesting though how these simple problems can surface as bewildering errors that lead you through a maze of obscure technical documents before you find the simple solution. Nokia plus Windows Phone 7 – would that be a smart move? The rumour is that Nokia’s CEO, ex-Microsoft Stephen Elop, is planning a major strategy announcement on Friday February 11. The obvious move would be to embrace a new Smartphone platform, since neither Symbian nor MeeGo look likely to catch up with frontrunners Google Android or Apple iPhone. Could Elop be planning to partner with his former company and embrace Windows Phone 7? It is a fascinating proposition. Here is the case in favour. For both Nokia and Microsoft, Android is the key competition in this market. The momentum behind Android is deterring both phone manufacturers and operators from investing seriously in Windows Phone 7. Microsoft’s phone is well-regarded, but has made little impact on the general public. Nokia could change that; it could make beautiful Windows 7 phones and get them to the mass market. Microsoft has also done a good job with the developer tools for Windows Phone 7, with Visual Studio 2010, Silverlight, XNA, and the .NET Framework. On the other hand, if Nokia were to adopt Windows Phone 7 for its high-end phone platform, would it not alienate its own development community, which is oriented towards Linux and C/C++? I think it would, unless Nokia insisted that as part of its deal with Microsoft, Windows Phone 7 would also support native code development with Qt, Nokia’s cross-platform application framework. This would be great news for Microsoft as well, though it might not recognise it. Windows Phone 7 needs to allow native code development, and Qt is ideal for the purpose. Qt already supports Windows CE, which underlies Windows Phone 7. If Nokia could present Windows Phone 7 as just another platform for Qt, the deal would be palatable for existing Nokia developers. If Nokia were to announce this, it would transform the prospects for Microsoft’s Smartphone OS as well as helping Nokia to make a renewed impact. Now for the case against. I am not sure that Qt on Windows Phone 7 would be acceptable to Microsoft, which might prefer to keep developers locked to Visual Studio and .NET; and Nokia has an easy alternative, which is to adopt Android instead. Qt support is still an issue, but there is already an independent project to bring Qt to Android. The combination of the Android and Nokia brands has obvious appeal, whereas taking on Windows Phone 7 would be risky. The biggest shadow over Windows Phone 7 is cast by Microsoft itself. I do not doubt the commitment of the team which builds it within Microsoft, nor the quality of the developer tools. 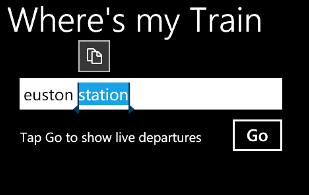 I do question though whether Microsoft as a whole sees a long-term future for Windows Phone 7 and its “Metro” user interface. The strong hint at CES was that Windows 8, rather than Windows Phone 7, is the basis of Microsoft’s tablet strategy; and if that proves to be the case, then Windows Phone 7 may gradually be displaced. Another puzzle is how Microsoft intends to use “Jupiter”, a rumoured new user interface library for Windows that may well be designed with mobile and touch control in mind. Maybe full Windows with “Jupiter” is the future of Microsoft’s mobile platform, rather than Windows Phone 7? I discuss this in more detail here. There is enough uncertainty around Windows Phone 7, and enough buzz around Android, that Google’s mobile platform looks to me more attractive than Microsoft’s from Nokia’s perspective. I do not dismiss the Windows Phone idea though; it would be a bold and interesting move. I expect this post to be very out of date soon, if not by Friday, then certainly by early next week at Mobile World Congress. #feb11 "Two turkeys do not make an Eagle". Microsoft has released an update to the Windows Phone 7 developer tools, which now include support for copy and paste in the TextBox and PasswordBox controls. You can try this in the emulator, though it is not yet available for actual devices. If you single-click a word (or, I presume, tap) then it highlights. Drag corners appear to left and right of the highlighted word, which let you extend or reduce the selection – but only, as far as I can tell, to complete words. 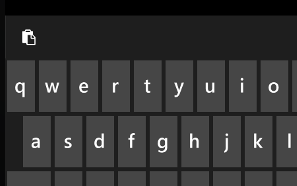 Tap the Copy icon which appears above or over the selected words, and a new icon appears above the virtual keyboard indicating that Paste is available. Now you can tap the Paste icon in the same or another application to insert what you have copied. Curiously, the act of pasting seems to clear the clipboard. I suppose there are not many occasions when you want to paste the same words repeatedly, but it does happen. If you accidentally pasted into the wrong location, for example, you would have to go back, select and copy again. Copy also works in the web browser. It works and it will be useful, though it strikes me as a minimal and slightly annoying implementation. When a friend showed me their two-year old Toshiba laptop that had suddenly developed a fault, I was not optimistic. The screen was showing a blur of horizontal lines and you could not even make out the image Windows was trying to show. Likely a faulty screen, but is it an economical repair? I verified that it was only the screen that was faulty by connecting to an external display, which worked fine. Then I took a closer look at the faulty screen. I noticed that if I pressed the upper left screen trim, it started working. Release the pressure, and the lines reappeared. That seemed to me a good sign. The last time I tangled with a laptop screen was a few years back. At that time, with the models I looked at, you had to remove the keyboard and numerous other parts to get at the screen; but it seems that it is simpler now. I removed the battery and power, and then unscrewed four screws in the screen trim, following which I could pop off the screen trim by gently prising it away. This enabled me to look at the back of the screen, where the model number was shown. It was a Samsung LCD screen. I figured it would probably be cheaper to search for the Samsung part, rather than finding out what Toshiba would charge for a replacement. It turns out that a new screen is available for around £75-£85 from sites like this one. Probably worth it for a decent laptop just a couple of years old. The following video, from the same site, shows what is typically involved – though be warned, your particular laptop may be different. Still, I was wondering if it needed a new screen at all. It might just be a loose connection, since I could fix it with finger pressure. I removed the screen completely by unscrewing it from its bracket, so I could easily get at the VGA connection. I lifted a small piece of tape and removed the connector. Then I reinserted it, pressing it home firmly. Reassembled the screen, replaced the battery and turned on. Since then, no fault. Who knows, it may recur, but for nothing more than a short time with a screwdriver I am glad to have extended the life of this particular laptop. PS If you try the above, you do so at your own risk. It is easy to do further damage, so if in doubt consult a specialist. 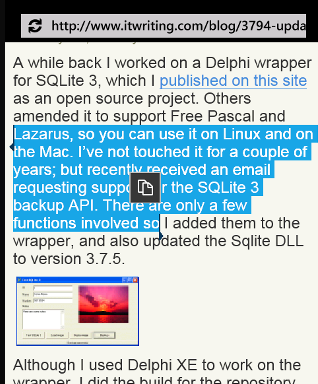 A while back I worked on a Delphi wrapper for SQLite 3, which I published on this site as an open source project. Others amended it to support Free Pascal and Lazarus, so you can use it on Linux and on the Mac. I’ve not touched it for a couple of years; but recently received an email requesting support for the SQLite 3 backup API. There are only a few functions involved so I added them to the wrapper, and also updated the Sqlite DLL to version 3.7.5. Although I used Delphi XE to work on the wrapper, I did the build for the repository with Delphi 7, running in a virtual machine, because I know this version still has plenty of use. The problem though is that Delphi 2009 introduced full Unicode support, causing compatibility issues. 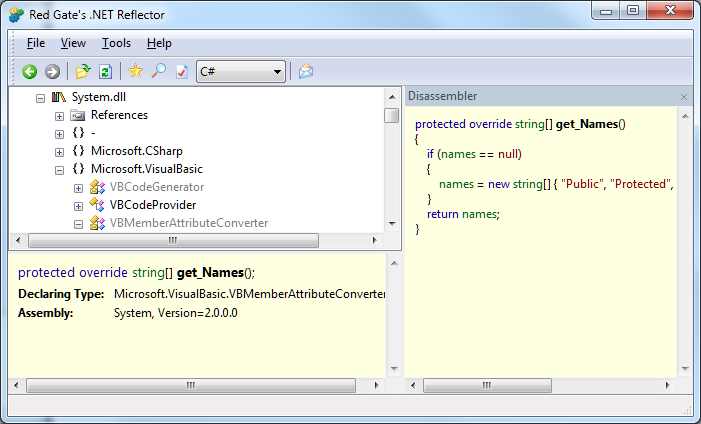 My wrapper is compromised because it uses the old AnsiString, so that it works with all Delphi versions. I have in mind to fix this so you get full Unicode support when I have time to do so. There is no support for Delphi’s data binding, and the wrapper appeals to developers happy to code their own SQL. Of course it works like lightning. Tools company Red Gate is to discontinue the free version of .NET Reflector, a popular tool for debugging and decompiling .NET code. The tool itself is amazing. It takes advantage of the fact that .NET code is not compiled to native code until runtime. 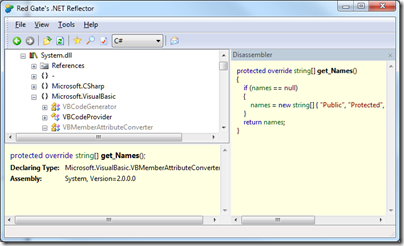 The code that is distributed is in .NET “intermediate language”, which means it can easily be decompiled. 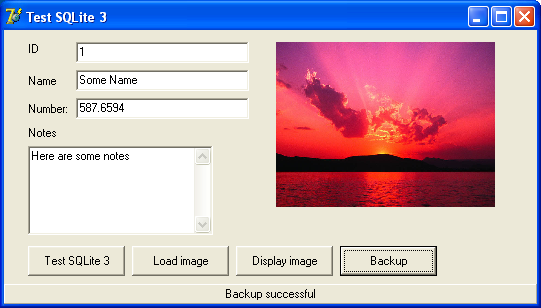 Reflector makes this as easy as opening a file. This is invaluable for debugging when you do not have the original source code, though a further implication is that if you want to protect your source code you need to obfuscate it. Red Gate will continue to provide the free community version and is looking for your feedback and ideas for future versions. Right now owning Reflector doesn’t make commercial sense. Further development of Reflector doesn’t make commercial sense. Reflector’s a tool that needs to stay up to date. We need to spend money on it. At the moment we can’t do so in a commercially justifiable way. We’re really regretful that we ever made such a statement that we were going to try not to charge for it. In hindsight we wish we hadn’t done that. It was never a promise by the way. Two years ago we thought we could make a success of it without having to charge for it, it turns out that wasn’t the case. We know that people are going to be cross with us. What has particularly annoyed users in the feedback forum is that the existing free version is time-bombed, and will expire on May 30th. So users will be forced to upgrade. i have been a happy (paying) customer of red-gate for some time now – sql tools, .net tools. i have told many other developers of your products – happy to explain how good they are and how awesome red-gate is. i won’t be doing that any more. IMO you have managed to destroy your company reputation such that purely on principle i won’t be recommending you to anyone anymore. If I click Yes, I am told that automatic update is impossible and directed to the Red Gate download page. If I click No, the dialog closes. In either case, the Reflector executable deletes itself. This is not so bad if you can download another free version; but following the change of policy that will not be the case. Red Gate might not have made money from Reflector, but now it has the opposite problem: bad PR because of withdrawing an existing and popular free tool. The price for the new Reflector will be just $35.00; not much for such as useful tool. There is nothing wrong with a software company charging for its work. This is a difficult transition though, and the question is: would Red Gate have been better off releasing Reflector back to the community and ceasing its own investment, rather than making a renewed effort to make it a viable commercial product? 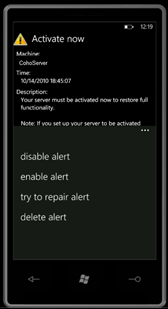 Microsoft has created a Windows Phone 7 app for managing the forthcoming Small Business Server 2011 Essentials. A neat feature for simple server admin, and a bit of stealth marketing for Microsoft’s smartphone, which is struggling to make an impact. I hope the app has some additional security though. Otherwise, a phone thief could cause mayhem with those few features. Office 2010 web apps – perhaps one of the most ambitious script# projects! Script# is used extensively by developers within Microsoft building Ajax experiences in Windows Live, Office to name just a couple, as well as by a external developers and companies including Facebook. I had come across the project before, but was waiting to see if would evolve beyond what looks like a personal project for Kothari. It is hosted on http://projects.nikhilk.net rather than on an official Microsoft domain, and the latest release is 0.6.2. In other words, it does not have the look of a project that you would recommend for production work, interesting though it is. Nor is there much public activity around Script# that I can see, though there is a CodePlex site dedicated to improving its JQuery support. Seeing Kothari’s tweet though raises several questions. Did Microsoft really use it for Office Web Apps, a high profile project which is a key part of Microsoft’s cloud computing strategy? Is there another, more up-to-date version of Script# that is used internally and which may one day burst into the public arena? I am sure there are readers of this blog who know more than I do, so by all means let me know.